By Costa Maragos Posted: March 2, 2017 6:00 a.m.
Stephen Surjik, a director of some of the most popular shows on Netflix, is the featured speaker at the ShuBox Theatre March 2 to help kick off the 29th annual Living Skies Student Film Festival at the U of R.
The festival runs March 2 - 4 and culminates with the awards night. 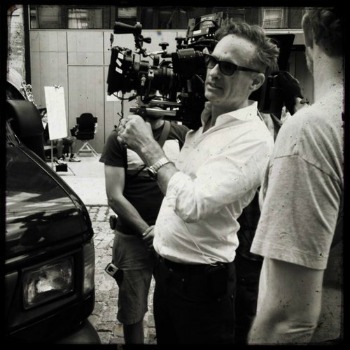 Stephen Surjik has produced popular shows on Netflix and on major television networks. He will share his experiences with the public March 2 at 7:00 p.m. at the Shubox Theatre. “As a student, I’m really excited to have someone of Stephen’s stature come and speak here,” says Zach Almond, a fourth year film student and one of the festival organizers. Surjik has forged a busy career as a Director and Producer in Canada and the U.S. He directed Wayne's World 2 starring Mike Myers and episodes of Kids In The Hall, The X-Files and Person of Interest as well as popular Netflix series including Jessica Jones, Daredevil, Luke Cage and Iron Fist. Surjik was born in Regina and studied at Concordia University. His graduation film, Second Story Man, garnered an invitation to the Directors’ Fortnight at Cannes. Surjik has received multiple Emmy Award and Gemini Award nominations. And now he will be on campus share his experiences and provide guidance and advice for film students or anyone else interested in film. This year’s film festival also features a workshop, March 3 at 1:00 p.m., by local director of photography Layton Burton. Burton, who is based in Regina, has more than 30 years of experience in the film industry. His resume includes Little Mosque on the Prairie and Corner gas along with films including Chained and Surveillance. However, most of the film festival is filled with film screenings produced by student filmmakers from around the world. 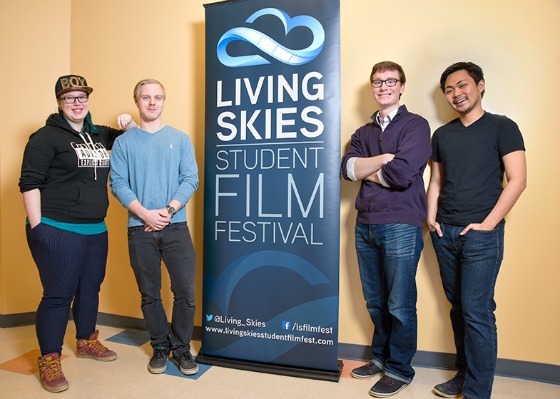 The Living Skies Film Festival is an international event. This year it is featuring films from 19 countries including Canada, Spain, Belgium, the UK, Argentina, Iran, Mexico, the United States and many more. It was a big task putting this event together. More than 1500 submissions came in from more than 70 countries. It was a tough task whittling down hundreds of films to a manageable number for the judges to view and grade. Alex Rogalski – Executive Director of PAVED Arts in Saskatoon and a programmer for festivals including TIFF and Hot Docs. He received his Bachelor of Fine Arts Degree from the U of R.
Jemma Gilboy - Lecturer/Senior Lecturer in Animation Studies at Nottingham Trent University in Nottingham, England. She earned a BFA in Film and Video Production and a BA (Hons) in Film Studies at the University of Regina. Grace Salez - a British Columbia based multi-disciplinary artist and founding member of MediaNet, a not for profit centre for independent video production. Logan Vanghel – production coordinator at Saskatchewan FilmPool Co-operative. He graduated with distinction with a Bachelor of Fine Arts in 2015. The film screenings and the workshop are free and open to the public. Please visit here for the film festival events schedule. For more information on the exciting opportunities offered by the Film Department please visit here.